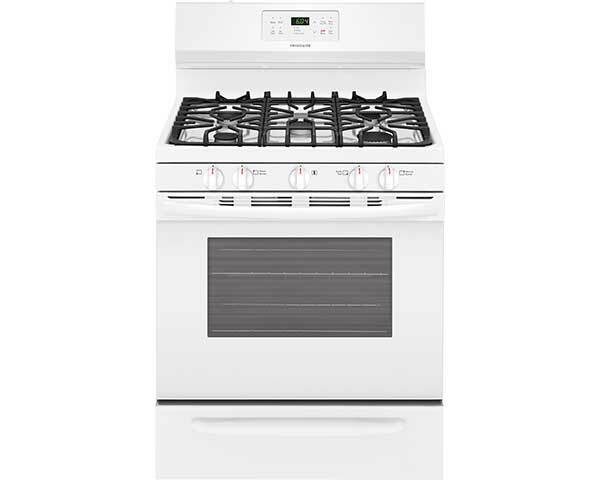 Get a gas range for your kitchen delivered today! It's easy with Triad Leasing's 3 easy payment options. Bake more at once with this large capacity oven. Enjoy a cooking top that stays looking great thanks to easy clean sealed gas burners. This range includes a powerful 17,000 BTU burner so you can boil faster. Come take a close look at these burners and you'll notice a low simmer burner, perfect for delicate sauces. Worry less thanks to the automatic shut off on this oven. Oven designed to automatically shut off after 12 hours. 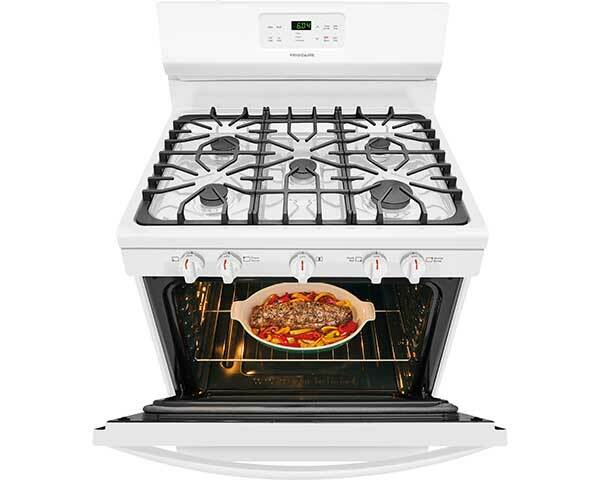 Visit your Triad Leasing kitchen appliance store today and get our best deal on a gas cooking range.